The Fortune 500 company based in Seattle, Amazon.com, Inc. has announced a latest version of the Kindle eBook reader – Kindle with U.S. & International Wireless, which allows users to wirelessly download content in more than 100 countries and territories, providing international readers an access to Kindle Store (www.amazon.com/kindlestore) that includes more than 350,000 books. 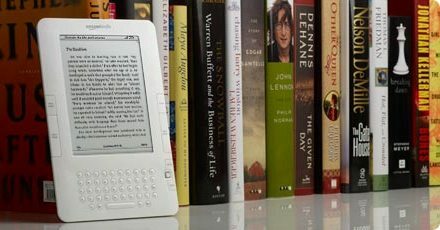 “At Faber and Faber we are always seeking new ways of finding readers for the writers we publish, so we’re excited by Kindle’s launch beyond the U.S., and to be developing our strong partnership with Amazon beyond physical books,” commented Stephen Page, Faber and Faber Ltd Publisher and Chief Executive. The new Amazon Kindle Wireless Reading Device with U.S. & International Wireless which measures just over 1/3 of an inch thick and weighs in at 10.2 ounces is now available for ordering (pre-order) on Amazon (aff) with MSRP of $279, shipping globally starting October 19. In addition, Amazon also reduces price on #1 Bestseller Kindle with U.S. Wireless to $259 (aff) (down from $299).